Yum, yum, yum! The Fruit and Gourmet gift basket exists to impress. 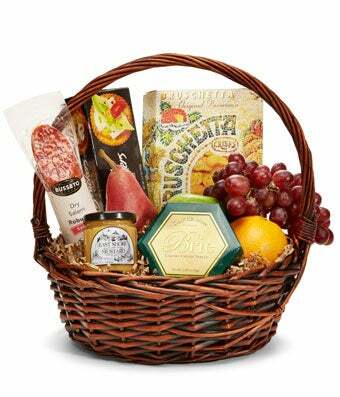 Featuring a fine array of savory and fruity treats, sending this gift basket makes a classy and bold impression on those on the receiving end. If you know your recipient likes the finer things in life, send them this gift basket today. Please note: contents may vary.